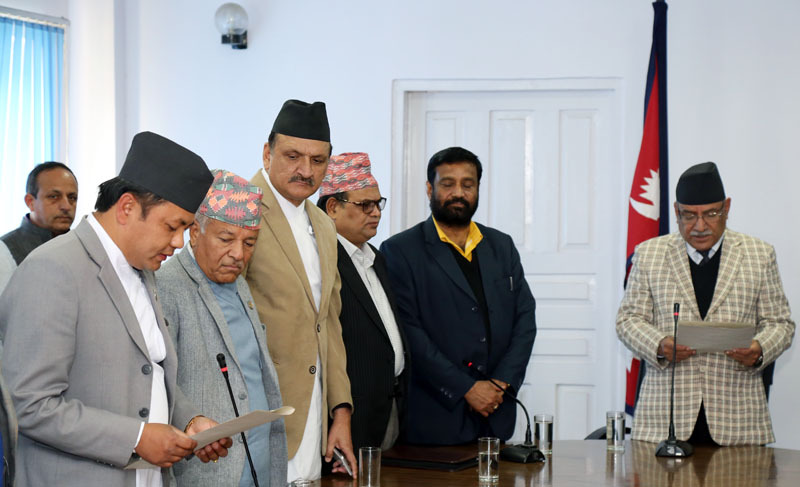 Kathmandu, March 10: Prime Minister Pushpa Kamal Dahal today has administered the oath of office and secrecy to the Minister of State at the Ministry of Culture, Tourism and Civil Aviation, Parashu Ram Tamang. The oath taking ceremony was organized at the office of the Prime Minister and Council of Ministers today. Ministers, secretaries and high-level officials were present on the occasion. Tamang was recommended to the Minister of State from the Rastriya Prajatantra Party.